How often have you seen information about Reiki that starts with this: Reiki is a Japanese word meaning universal life energy. First of all, there are no Japanese words. The Japanese language is written in pictograms, not words. I hear someone saying, “Picky, picky, picky.” And I completely own it. I am picky, picky, picky. But that doesn’t make a pictogram a word, or even a reasonable equivalent. Japanese is a language of nuance. It is not as specific as English is. So this is a place where picky, picky, picky might be useful. A pictogram is a stylized picture. Even the most florid word is linear compared to a picture. Words define; pictograms suggest. And they can only be understood in context. The definition above traces back to Hawayo Takata, the Reiki master who, with her Reiki master Chujiro Hayashi, brought Reiki from Japan to Hawaii in the late 1930s. I want to go on record as having only the most profound admiration and gratitude for Mrs. Takata. That doesn’t mean we freeze-dry everything she said and use it without reflection. Anyone who heard Mrs. Takata say those words also heard her say more, and likely felt her hands as well. Taking a line from a live event and turning it into the lead of an article doesn’t work. When writing, we have only our words with which to interest people. Make them count. Use your words to tell people what they want to know about Reiki — how it can help them. If you lead with a definition that tells them nothing, you lose the chance to tell them more. Pamela, I think this is very valuable information. We don’t realize how important it is to engage both hemispheres of the brain. That’s why I think it’s so valuable to “draw” the symbols in the air or on the palms while saying them before sending reiki. It engages the whole being so much more than simply saying the “word” reiki. The title says ‘Reiki is not a word’ but you didn’t actually go on in the article to explain what you consider Reiki to be. I’ve only done first level, so I’m quite new and I enjoy learning about other people’s thoughts on the matter. I was hoping to learn more of your thoughts on what Reiki is (in your opinion), instead the article seems to go on about people who have taken a comment out of context. Do you have another article where you explain your understanding of Reiki or could you either do one or point to where I might find one that says what seems right to you? Michelle, my goal in writing this was not to define “Reiki,” but rather to move people away from a formulaic response to something that as Reiki practitioners, we would best be contemplating on a regular basis. I share some thoughts in responses to other comments to this article. You might also read Toward a More Plausible Reiki Model. Japanese as chinese and coreans are based on ideograms…(pictograms is not adequate, ideograms is the correct ‘wording’ to label concepts that are written with a meaning. To get a label, one must connect two concepts…. for instance, to write home: one must draw a sleeping pig under a roof…. that is the ideogram for Home comprising of the ideograms for Pig and the one for roof. By the way we are second the line up for The Best Reiki Blog…. No, it’s not neither a force nor an energy. It’s a fully conscious state. I think Mrs. Takata was just doing the best she could in terms of translating, since there really is no English equivalent. Do you feel that Universal Life Force Energy is also a name for this all-pervasive source state? Primodial consciousness, Oneness, Great Mystery, Tao, Reiki, are all names for the same all-pervasive source state, Peggy. I encourage you to take the Usui Virtual Retreat that’s offered on my website (scroll all the way up and click homepage on the left). It’s free and you can pace yourself. It will deepen your practice and the contemplations will deepen your understanding. First of all–Beth, thank you so much for your apology. And I apologize to everyone that this has gotten way off point. I want to thank all of you who participate in the many discussions here, and I hope you will continue to do so. This discussion (including the posts I received that were too noxious to publish) illustrates the need to offer some guidance to help people understand appropriate posting, so that everyone feels comfortable. I was chagrined to be told by some practitioners recently that they don’t post because they are afraid of being attacked by my readers (which I don’t think has ever happened–attacks are generally aimed at yours truly). This is a loss–to them and to the rest of us. I do not agree with the perspectives these practitioners hold, but I respect that they are well thought out, and it is a service to the community to have them expressed. Contemplating what one wants to add to the discussion before posting rather than shooting off the cuff–especially if you are feeling emotional–makes for a more productive conversation. Take the time to formulate what you want to say, to think it through before, rather than after, sending. And please be mindful to share your own experience, support or rebut ideas only, and avoid making personal comments. I guess I don’t understand how a blog works either. My understanding is that if someone asks for comments, this is an invitation for discussion. For what it’s worth, I found your posts joyful and engaging. I tried to contact you via your Website, but the link for contacting you was not working. Thank you Pamela. I am a definitely a bit confused at the moment and feeling a little foolish. I think you are right. I don’t have any experience with blogs, and I guess I am not using this properly. I had to look up what ad hominem and I wasn’t too happy with the meaning. I certainly did not mean to do that. Thanks for your comments, Beth. I mentioned the words “believe” and “magic” because you used them in your earlier comments, and–as you say–I don’t want the masses thinking Reiki requires belief or is connected to magic. That perspective is the complete opposite of what I want to convey to the public about Reiki. Perhaps you are disappointed here because this is not an appropriate venue for the kind of dialogue you are seeking. I have a clear goal, which is to put credible, well thought-out, documented information about Reiki before the public, and to support other Reiki practitioners who share that goal. Doing so requires an ability to debate points and stay on topic. I completely agree with you that Reiki defies logic, but we can still speak about it logically, and when we aren’t logical in our communication, we risk misleading the public about what Reiki is and how it can help. For example, the problems with the US Catholic bishops are at least partly due to the illogical ways that Reiki is commonly represented. I want to provide the public and health care with an alternative to that kind of magical presentation because it turns off precisely the people I want to help connect with Reiki. Part of keeping a dialogue safe is to keep the discussion to points and ideas (hopefully on topic), and to avoid making ad hominem statements. People need to be responsible for their own emotions. This may not be the best venue for people who feel judged or criticized when someone disagrees with them or questions their assertions. But for a Reiki practitioner who wants to take Reiki before the mainstream public, debate is useful practice. There will always be people who don’t share our perspective, and we cannot afford to let our feelings get hurt when the public questions our assertions, or even heckles. Not offended at all! I am actually enjoying this dialouge! Disappointed a bit maybe, but certainly not offended. You seem sometimes to just pick out what you disagree with and respond to that. Sometimes the energy feels a bit stern, serious. Not like a jovial, sparring of ideas. Sometimes, in print, if feels like you can be unyielding. I respect and admire you as a fellow Reiki practitioner and teacher. I know that I am drawn to you to aquire the parts I need, or else I simply would have no interest. I honor the divinity that you are. Although you have many years of practice on me, and I will always be learning and growing, I don’t feel you are better, or more qualified to practice Reiki than me. I sense the teacher in you doing her job, and that you most likely don’t realize that you are coming across as correcting, or even a bit critical at times. You speak about finding the holes in our logic; I think reiki defies logic, and I guess I am just not sure if that is what you are talking about! If it is about everything being energy, I have always thought Einstein proved that. I certainly don’t feel that people don’t find me or the practice of Reiki to not be credible, because of the way I have been taught and choose to explain it. I in no way feel or think I have conveyed that anyone needs to believe in Reiki ( and if I did, could you point that out?) and by magical….ahhh, that refers to the amazing experiences I have in my personal and professional practice of Reiki and the transformations I witness in myself and others. Not the right word? Oh well, should I apologize? The word, to me, is decribing a feeling I have. Maybe what some of you describe as pure love, pure grace I call magical~ who has the right to tell me that is wrong? You zoomed right in on that word and felt the need to correct it. Can’t have the masses thinking Reiki is magic! Maybe we all do need to be more mindful of the words we use, but we definitely should not be judged/critized, sublty, or overtly, if we don’t. Maybe it would be better to say, when you use this word it gives me the impression that you believe this or whatever, is that what you really feel or think?Then, if you are using this blog as a tool to help yourself become more confident about talking about Reiki etc, then you might not be put off from commenting and getting feedback that is positive and helpful. I’m sorry you have taken offense, Beth. There is no last word, but if we are seeking clarity and credibility for our practice, it’s important to think our arguments through, find the holes in our logic, and identify inaccurate information. The Reiki practice Takata gave us requires no belief and is in no way connected to magic. Well there you go, you get the final word! I don’t know of a scientist who would agree that science has proven everything is energy. What you are calling energy, Beth, has not even been scientifically proven to exist. You might want to read The Science of Biofields. We don’t need to be attuned to Reiki. Again, a western misunderstanding. We are initiated into Reiki practice. Initiation is what enables us to practice; the initiation, blessing, or diksha is how the teacher passes the ability to practice to the student. Hmmm, I guess I need to work at how I explain myself. We should be mindful that This forum is one of the reasons ( I thought) that Ms. Miles is offering these thought provoking exercises in the first place. Lets keep things in perspective and try not to feel that we are defending ourselves or our beliefs, only clarifying them, or opening to new ways of looking at Reiki and how we explain or understand it. I do believe that ALL is energy and ALL is one. And, it would seem that this has been proven now by science. We know that we humans, indeed EVERYTHING physical, is molecular structure vibrating at a very high speed appearing to be solid. One of my teachers, Paramahansa Yogananda, used to say that we are both the wave, and the ocean. Same, yet individual. What I am Attempting to convey is that I believe we all have our individual,unique energy frequencies and that Reiki, is the same way. It is, I feel, a very unique vibrational frequency of Universal, or Spiritual Life Force Energy. I have had many different energy sessions and I can tell the difference between them. I can feel the subtle differences and what makes them unique. Reiki has certain things about it that “act” and feel very differently (at least to me!) from other modalities. So what is wrong with saying that it is a specific, or unique form or vibration of Ki? You are you, and I am myself. We are cut from the “same cloth~or from the same Ocean of Energy,yet we are each individual and unique at the same time being “one”. You wouldn’t want anyone to tell you that you are just like me or vice~ versa. When we connect with Usui Senseis’ Reiki, we connect with his particular frequency, wouldn’t you agree? Otherwise, why do we need to be attuned to it? It is kind of like Usui Sensei Dishka, lol! Dishka, if others are not familiar, is a blessing given by a spiritual master to help accelerate the students progress toward self realization or enlightenment. That Dishka, or blessing, carries the Shakti, or energy vibration and intentions, of that Sage, or Teacher. I think this is exactly how Sensei did attunements, and that they frequently received attunements in the Ghakki really affirms this for me. And about the link; what is interesting to me is that she specifically says that Reiki is two JAPANESE WORDS. And you lead with is; Reiki is NOT a word. Technically? Perhaps that is true. But when most people think of language, we think word. And the gal writing starts off by stating that Reiki is 2 Japanese words. Anyway.. what it seems is important more so than that the word stuff, that I see, is that you take issue with the method, or system of healing we know as Reiki being DESCRIBED as a Japanese word. Which I would agree it is NOT. It isn’t that Reiki isn’t also a “word”, but that it does not accurately describe the method, or system developed by Usui Sensei. And we should be making sure that we are NOT using THAT line! If I was really going to dive deep with someone, I would tell them that Usui Reiki Ryoho is a method to help aid relaxation,stress reduction, promote cellular balance and healing AND cultivate spiritual growth and awareness. Usui himself said in an interview that ” Our Reiki Ryoho is something absolutely original and cannot be compared with any other (spiritual) path in the world.” So, to me we do it backwards “here in the west” ~ Where the Japanese may start out with Reiki as a Spiritual Path and the healing follows, We latch onto it for the healing ability and then grow onto the spiritual path. That is why I promote practice, practice, practice. I think the tide is shifting a bit and more people are coming to Reiki for the Spiritual aspect, but most still embrace it first and foremost, for its healing process. I don’t feel this is right, or wrong. It just is what it is and is perfect for this space and time we find ourselves in, not to mention that it certainly helps it to be more readily accepted and integrated into our medical communities, which makes folks more open to receiving and learning! You often talk about how Reiki is so very much like meditation~ I agree, only it takes virtually no effort when using Reiki to reach this state, usually for the client and the practitioner. Why is this? Why is Usui Reiki able to invoke this wonderful state of relaxation, and peace and often invokes spiritual experiences, when other systems don’t seem to? I believe it is because Reiki is a wonderful, magical, unique frequency (and if all things are energy they must have a frequency, or particular vibration right?) of that God Power, Source, I AM PRESENCE or however else one wants to describe the Non-physical energy that is All That Is. Reiki, as I choose to see it, It IS a Universal, yet also distinct, part of the whole. And just for giggles, I love that I see a laughing Buddha in the Picture! Beth, I don’t understand where you pull the idea that Reiki is a separate energy from the passage above. That which is spiritual or universal, is by definition everywhere all the time, common to all, essential, rather than separate. People who didn’t understand ki/qi to begin with started saying that Reiki is a kind of ki/qi, and the rest, as they say, is history, because so few Westerners have enough understanding of Asian culture to be able to see the confusion. After saying that translations from Japanese are at best approximations, the writer says that the translation of “spiritual energy or life force” is rough, and that something is lost in translation. What is lost in translation is the nondualistic cultural context in which Usui developed the practice we call Reiki. In contrast, Western culture is dualistic, and therefore the assumption/belief arose that Reiki is something separate. Hawayo Takata sometimes referred to Reiki as Godpower. Think of it as the power of that which is present everywhere–inside and out, all the time, inviolable, and to which we connect when we practice. No I don’t think it is mis leading and I think it “works” for our society.Of course I am well aware that Sensei was teaching So much more! But, I am not about to launch into all that when I first meet someone and they ask about Reiki! Also, I do not agree that Reiki is not a specific Ki. I also am unable, at this point in time, to wrap myself around the thought that it comes from inside me. Anyway, about the Kanji~ this is what the link has to say and it is exactly what I was taught from William Rand. And, out of curiousity, what do you see, and what feelings come up in you when you look at the Kanji? Beth, I’m curious why you lead with technique for relaxation and stress reduction. Isn’t that misleading? Do you think that’s what Usui was teaching? Isn’t Reiki primarily a healing practice (so much bigger than “technique”) that has the common side effects (as it were) of relaxation and stress reduction? Also, ki (or qi in Chinese) is a specific type of bioenergy; it does not refer to all subtle energies. And I would argue that Reiki is not a form of ki at all. This is where the misunderstanding of the translation comes in. What you are suggesting is not at all how the kanji Reiki is understood in Japan. You can click here to read what someone who lived in Japan and speaks Japanese has to say about that. My Goodness, such thought provoking ( which is the point, I know) comments! I don’t overly focus on the “word” Reiki at all!! When I offer an explanation of what Reiki is, to someone who has asked, I tell them that it is a Japanese technique for relaxation and stress reduction that also promotes healing. I explain that what we call “Reiki” really refers to the system for health and well being, developed by the founder , Mikao Usui, which is technically called Usui Reiki Ryoho. When I teach, I offer that the Japanese Kanji- or picture word, has two parts that have multi level meanings according to the tradition of this culture, and that to really understand means you have to dive deep and explore the esoteric meanings or Rei, and Ki. I talk about how Reiki is a very common “word” in their lanquage and some of the other meanings and how this Vibrational frequency of Ki, or energy, is unique. We also often practice drawing this and look at it to see what we “see” in the Kanji and how it makes us feel. I, and many of my students, see a laughing Buddha, and feel Love and Joy! Getting back on topic now, by way of the Sunday New York Times. I’ve been engaging in my favorite Sunday morning activity, sipping green tea, savoring chocolate, and ritualistically reading the Times. I typically scan the front page, and then am torn between the Week in Review and the Style sections. The Style section is of interest to me because it contains one of two premier personal essay columns, “Modern Love” (the other is “Lives,” on the back page of the magazine). “Modern Love” is not as cheesy as it sounds. Each edition brings another skillfully written essay on some aspect of love, not at all limited to romantic love. This is completely off-topic, but I can’t resist–this is the first time I have seen a statement that the Bible was originally Sanskrit. What documentation supports this assertion? I would say that regardless of whether it was a originally a “word”, a pictogram, or whatever you want to call it, it has been adopted into our English language as a group of letters forming a word which conveys a concept. It is in the dictionary as such. So whether or not it started that way does not mean that it has not evolved into a word, technically speaking. It is still good to understand the possible original concept, as sanskrit-derived languages convey thoughts and feelings rather than the more concrete “literal” perceptions that germanic languages do. So those thoughts and feelings don’t always translate totally accurately, meaning that we have to open our minds to the “word” being more than a literal explanation …conveying feelings or having a variety of meanings rather than just one meaning. I think that is part of the beauty…the meaning has to be derived by the individual through feeling. No one else can tell you precisely what it means to you, even if they can guide you by their own studies and experiences. This is where so many of the conflicts of religion come into play…someone wants to decide for everyone what the Bible means, or whatever book or text is being followed. They feel the need to make everyone believe their way. In the case of the Bible, most have no clue that it was originally sanskrit, nor do they understand the differences and difficulty in translating sanskrit to germanic. Thankfully, there is no “authority” that has developed in Reiki to “control” it, leaving individuals the opportunity to study on their own and, through that and the feelings of experience, have their own “relationship” with the ULFE that it helps us access. Thank you for your comments, Bruce. I appreciate your perspective. There is no need to reach agreement on these details, which are not the core meaning of the post. What I wanted to convey is that, whether one considers it a word or a pictogram, there is greater nuance in the Japanese understanding of Reiki than what is carried by the commonly used English translation. Do you think that is a reasonable point? I’m not trying to impose anything about the conversations you had with Japanese people. You made the assertion that the Japanese language has no words, and you cited to conversations that you had with Japanese people. I’m simply questioning whether they endorsed your assertion about the Japanese language having no words. It’s not a difficult question at all, and you still haven’t answered it. As to your point about the WRITTEN form of the language — you know, you’d have a better point if the characters hadn’t been simplified. From looking at the simplified form of characters, one could reasonably believe that the character for “country” is derived from the character for “jade.” But the classical form of the characters doesn’t support that etymology. The ancient form of the characters is even more evocative of pictures than is the classical form. But the ancient form isn’t the type that’s used these days. BTW, the point about phonetic borrowing remains. Many of the uses of characters are related to phonetic meaning, not “pictogram” meaning. It’s not that I’m not willing to debate; I just don’t have anything more to offer on that point. It seems that you aren’t willing to debate that Japanese has words. Its like you are saying you are the only person who is right. And in any explanation, I feel that including the expression “hands-on” early on in the conversation is important. The mental picture can then become one of caring touch that everyone can understand. Although I rarely use the expression, I think Takata had it right with “godpower.” Most words never seem large enough. As I’ve said above, while the definition God Consciousness guiding Universal Life Force Energy resonates with me, this is not a definition I lead with when speaking to a prospective client. I do, however, use this definition as a starting point in my classes. It leads to my observation that Reiki has its own intelligence. I have quite a few stories that illustrate this. When speaking with prospective clients, however, I will most often address their specific need. Several months ago, for example, a woman called to ask if I could help a feral cat she had been feeding for quite some time. The cat had not eaten for nearly a week and was also showing signs of dehydration. Further, it was coughing and had green mucous coming from its eyes, nose, and mouth. Because the cat was feral, the woman was unable to convince it to get into a carrier for the trip to a veterinarian. The woman asked if I could help. I did not respond with a definition of Reiki. I explained that Reiki could most likely assist with pain management but that beyond that I simply had no way of knowing how the cat would respond. She had read the testimonials and stories on my Website and so asked me to work with the cat, which I did immediately as this was an emergency situation. Miraculously, that evening the cat ate ravenously (two cans of cat food), drank a bowl of water, stopped coughing, and stopped oozing mucous. This was four months ago. He is still in good health. Will I tell the next prospective client that Reiki can cure feline respiratory infections? Not on your life. But, depending on the circumstances, I may share the story. Welcome, Dr. Simon, and thanks for joining the discussion. I hope you’ve had a chance to rest and practice some self-treatment. It is true that people can practice Reiki effectively without having any academic understanding of what they are doing. Any masters who have trained children to practice have seen this. This is one of the great advantages of Reiki, the fact that it is an empowered practice rather than a skill-based practice. Anyone who is initiated can practice. No matter where they place their hands, if there is a need for balance, the Reiki connection will activate. To clarify, I’m not suggesting that Reiki practitioners need to embark on a detailed study of Japanese culture and history. I’m just suggesting they take a second look at some widely cherished basic assumptions about Reiki. How can we refine our understanding without questioning our assumptions? So many fascinating threads in this discussion, I only found this site via uTube an hour ago and I’m engrossed! I am a Physician and reiki master and often have sceptical colleagues asking about reiki. I try to establish what about reiki they want to know, as there so many aspects- it’s history, effects, evidence base, practice, what clients experience, what I experience etc. I will certainly be pointing them towards this website in future. I never felt happy telling people Rei means this and Ki means that, I always get rather vague and wave my hands about at this point, and now I understand this is not without good reason! Whilst I am sure that moving closer to the roots of reiki and it’s meaning would require a detailed understanding of Japanese culture and history, I am also sure that the evolution of Reiki into differing forms and varieties need not dilute it’s healing powers if the channel, their guides an their intentions are clear. Likewise, an understanding or description which has evolved with differences in culture and time is surely no less valid, provided it comes with the explicit explanation which is part of our culture, as it originally came with the implicit nuances of meaning within it’s original cultural context. Does that make any sense? I just finished a A&E (Casualty) night shift! Thank you for your kind words, Pamela. I will, indeed, print out the articles. Thank you for the suggestion. Sorry, but no, Bruce, the conversations simply did not go in the direction you are trying to impose. So the native Japanese speakers DID NOT endorse the assertion that Japanese has no words –right? My experience is that doctors are generally interested in Reiki when it is expressed in words that engage rather than repel them. The care you bring to your words and your willingness to engage in discussion bodes well for your success in this venture. There are many resources you can use from the website, under the Articles and the Medical Papers pages. You might print out the first three medical papers and send them along to the physician with your note. Thank you, Pamela, for your clear response. Now I understand the purpose of the inquiry, which makes me appreciate it that much more. And the timing is perfect. I am in the process of writing a letter to a doctor at a local hospital whose care I was in early this year and who expressed quite a bit of interest in Reiki. Each day, when he did his rounds, he would examine me and then ask questions about Reiki. I love this tiny hospital in rural Illinois and would like to introduce the staff to Reiki. I have given many talks over the years to various groups (mostly animal lovers as most of my clients are animals) but have not had the opportunity to speak to hospital staff, something that I feel moved to do. So thank you for this conversation. I hope that it continues. They spoke of the richness of pictograms compared to the definition of words. And Americans who were born in Japan and and raised here by their Japanese parents spoke of how much eludes them when they visit family in Japan, because Japanese culture is so much more nuanced than our culture. But of course these are people who were, as Pam Sourelis said so eloquently in her comment above, listening with their hearts as well as their minds. So when you did have the discussion with native Japanese speakers, what was their response?Did they say that their language doesn’t have any words? Yes, Bruce, I have had this discussion with Japanese citizens. That’s what led me to write the post and stimulate this discussion. Thank you for participating. 1. If you’re familiar with the developing vocabulary of Japanese infants who are first learning to speak, then you know the assertion about there being “no Japanese words” is just dead wrong. 2. The “pictogram” assertion is overblown. Phonetic borrowing — rather than pictogram meaning — accounts for many, many of the uses of “pictograms” in the Chinese-character-based writing. 3. What about the phonetic scripts that the Japanese have developed? Are there words in those systems, but not in the character-based system? 4. Have you gone up to people whose first language is Japanese, and explained to ’em how there are no words in their language? If so, what was their response? Thank you for asking so clearly, Pam. 2. when people ask about Reiki, they are usually not asking an abstract question; they have a need. We connect best when we speak directly to that need. Open the conversation with a phrase that makes no immediate sense to the public and they will quickly decide Reiki is not relevant to them. That said, attendees at any mainstream presentation are not likely listening with their hearts. If we want Reiki practice to become available mainstream, we need to communicate in a way that piques mainstream interest. Conversations with people who share our world view are very different. The words you have chosen–pure love, pure light, grace–are truly evocative of Reiki. Sometimes I refer to Reiki practice as a non-dogmatic, contemporary access to grace. So we agree! I find shared inquiry like this continually refines both my understanding and my ability to communicate, and invariably reveals common ground where there seemed to be division. So thank you all for staying in the conversation. All words are suggestions. If you say the word “chair” to a number of people, each one will develop her or his own mental picture. If I describe something as “beautiful,” what do I mean? Some years ago, I read a funny story on the Internet involving translation. The phrase “Out of sight, out of mind” was translated by a computer translation program into another language; the translation was then translated into a third language; this translation was then translated into a fourth language. Finally, the fourth version was translated into back into English. Language offers so many opportunities for misunderstanding that it is a miracle we can communicate at all. I think that understanding is greatly facilitated by listening with our hearts as well as our minds (something a computer cannot do). The problem that I am having with this conversation about Reiki not being a word is this: First of all, if I say “Reiki,” I am speaking a word. One cannot speak in pictograms. But aside from that niggling observation, I’m left asking why I am being told this. I feel as though I am being corrected, which is fine with me. I am a lifelong student. But I’m not sure what the correction is. Surely, you aren’t saying that those of us who are not Japanese, who were not raised in Japanese culture, cannot fully understand Reiki. Or perhaps you are saying that. I have said in a previous post that I feel Reiki is pure love, pure light, grace. Does this at all fit the suggestion of meaning inherent in the Japanese symbol? Just because a phrase has been largely adopted doesn’t mean it tells the whole story. Do practitioners who use the term ULFE ever contemplate what it really means? I have been successful bringing Reiki practice into medicine because as I practiced daily Reiki self-treatment according to how I was taught (I didn’t go looking for or invent new techniques), I also kept questioning assumptions about Reiki–both my own and those that are commonly shared as facts, such as ULFE. I’m not saying ULFE is bogus; I’m saying it is a simplistic translation that stops the conversation. ULFE does not paint the whole picture of what the Reiki kanji represent, and as soon as the phrase is used, anyone who doesn’t subscribe to that world view immediately opts out. I would never have been welcomed in health care if I used that phrase to introduce Reiki practice. Einstein famously said, “Question everything.” This is an important part of both spiritual development–identifying our own limited understandings and looking deeper–and of the scientific method. If our Reiki practice is effective, our understanding of Reiki will mature. If we don’t revisit our assumptions, how will we separate out that which was useful developmentally from that which is profoundly true? Think of how we teach children abstract values such as ethics. First our communication is very simple and straightforward; it doesn’t address the complexity of real life issues, but it’s what a child can understand. Nuance comes with experience and self-reflection. In the same way, perhaps Mrs. Takata spoke of Reiki in the way she felt most effective at the time. She also referred to Reiki as Godpower. I am a teacher of not only Reiki but of Tai Chi and QiQong. Therefore, I am very used to working with ULFE (I don’t ever use that abbreviation) – Chi or KI. So I have experience of working with energy in these very different forms . I personally feel that Reiki energy is Divine Life For Energy (DLFE) not just ULFE. That Reiki comes from the source of the Divine, whatever Divine means to you. That is what I teach my students and that is what I tell my clients or anyone else who I talk to about energy. Yes, ULFE comes from the Divine also, but as somone else said, Reik is love. Love from Source, Divine Mind, Infinite Intelligence, whatever you want to call it. Patty, what if instead of coming from Source, Reiki is Source? How would that change your understanding? Oh, I get it–you are using the initials for the term. Sorry, didn’t pick up on that. Yes, I know the phrase traces back to Mrs. Takata; I noted that in the original post. If you google ULFE and add the word Reiki it will come up. I checked my older books 1988 BoDo Baginski uses the term ULFE (Germany) Helen Haberly who wrote Hawayo Takata’s Story uses the term ULE. Libby Barnett & Maggie Chambers use the term LFE John Gray was their teacher. He was one of Takata’s Students. It seems to be a term that has been used as ULE or ULFE. I think Diane Stein uses the term healing hands. Usui format and changes. Folks who like to know the history and the changes of the original Reiki System might find this forum useful. Pamela, this is off the subject when I first got my RMT certification 5 years ago it was your website that I would visit. I was impressed with the information that you put out there regarding Reiki and the medical world. Today, here in Boston Reiki is accepted in almost all hospitals. Brigham & Women’s have set up a volunteer Reiki pilot program. If you want to volunteer and don’t have Reiki certification they will train you. What is ULFE? I’ve been practicing Reiki since 1986 and have never heard of it, and it doesn’t come up in a google search. The original Japanese context of Reiki practice is larger and more subtle than what we see in western cultures. While I agree that Reiki practice is effective regardless of the practitioner’s understanding as long as the practitioner has received effective initiations, something is definitely lost when practitioners don’t make the effort to recognize their cultural assumptions and reach beyond their limitations. This kind of naive ethnocentricity is particularly prevalent in the US, where many of us don’t live in close proximity to other cultures and languages. Our daily Reiki self-treatment not only balances us, it also expands and clarifies our understanding gradually over time. Japanese culture honors the connection between right understanding and well-being in a more profound way than is seen in the west, and the understanding of Reiki practitioners is enriched by delving into this. Many western Reiki practitioners have told me they loved their practice from the beginning but intuitively felt the conceptual framework they were taught was somehow lacking, and that they finally discovered what was missing in the more expansive and nuanced, non-dual context out of which Usui created the practice in Japan. Regarding the distinction between ideogram and pictogram, Wikipedia offers this: “A pictograph  (also called pictogram or pictogramme) is an ideogram that conveys its meaning through its pictorial resemblance to a physical object.” But if the distinction you give is correct, it would seem to support my point. Thank you again for your wisdom, Pamela. Can you say more about the “non-dual context” that provides the depth some of us might be missing? Pamela, I found.. Reiki is not a word.. confusing. Reiki is a system that uses ULFE. Comments from David and Pam S. were helpful in understanding other Reiki practitioners thoughts about what you wrote. According to James Deacon….. the kanji characters used to write Japanese words are more properly Ideograms, Pictograms define; Ideograms suggest. According to a Chinese aphorism, a picture’s worth a thousand words. A pictogram is a picture. It’s not a word. Pictograms are suggestive; they are not defined to the degree that words are. Yes, Japanese is a spoken language. The names of the pictograms are spoken. The language is not constructed in the way Romance languages are. There is so much about Reiki practice that cannot be understood when Americans and Europeans insist on translating in a linear way (which any translator will attest is not possible even between related languages). Japanese language and culture include concepts and nuances that are not part of our language and culture. Becoming fluent in a language involves learning the culture as well. If you have a friend who learned a second language to the point of true fluency, ask her what that process was like. There is not a matching set of words across all languages. The language itself shapes our understanding. Much is lost when non-Asian Reiki practitioners impose their cultural understanding on the practice rather than seeking to understand the values of the culture in which the practice was born. 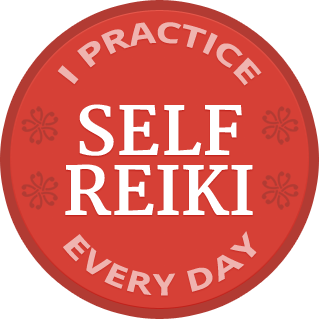 Since Reiki is an empowered practice–we don’t really learn to practice, but rather the initiations give us the ability to practice–people can practice effectively without having a nuanced understanding of what is happening. But not having a nuanced understanding of Reiki makes it harder to communicate about the practice. I was taught that Reiki is two pictograms/words: Rei, meaning Divine consciousness; Ki, meaning universal life force energy. Reiki, then, is universal life force energy guided by Divine consciousness. Though this explanation resonates with me, this is not how I explain Reiki to people for the first time. To me, Reiki is pure love, pure light, grace. I am honored for opportunities to channel it for others and try my best to keep that channel clean. I’m not sure what you mean when you say Japanese has no words. The Japanese do have a spoken language, no? As a wordy person, I find that words fail Reiki more often than not. When I describe Reiki to someone I don’t know very well, I take your wise advice and tend to use less words. I call it a “Japanese Meditative Healing Practice,” because that is what it is for me. Reiki seems to have some intuititve attraction factor that makes some people interested, regardless of what you say, and others not. Talking a blue streak isn’t necessary. I’ve known people to sign up for Reiki without knowing very much at all, other than it is their time for the experience. When I’m asked by someone I know very well, I feel more at liberty to tell them, after 6 years of practice, that I really wish I could tell them exactly, but I really can’t. I then give them my usual effort, including a brief description of the form of a treatment. I agree with your observation that taking a line from a live event and turning it into the lead of an article doesn’t work. I feel like I want to understand the cultural, social and medical context of the origins of Reiki, but I also understand that I wasn’t there, in Japan at the time, and never will be. I think this often when I read of courses that teach “how Usui taught” or how Reiki originally was. Could someone from 19th century Japan read my diary for a day and live like a Texan? Ha! I think not….. But, we all try. I applaud and appreciate your continued efforts to have intelligent discussion about how to understand Reiki ourselves, and how to describe it to people who may benefit from our connection.